This is a sponsored post written by me on behalf of Scholastic News for Grade 4. All opinions are 100% of this teacher. It is always exciting when you can bring the world into your classroom. There are a million things out there to use, but as all educators know, some are better than others. 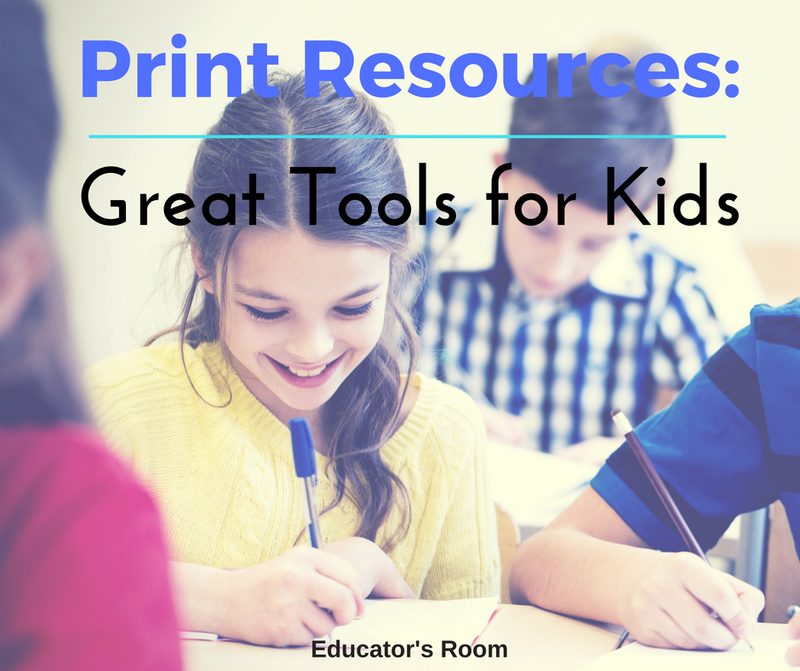 Technology allows the outside world into our classrooms; there is something of value to print materials though as a tool for students. Many students enjoy reading nonfiction, so having a quick resource to put in their hands is always a good find. 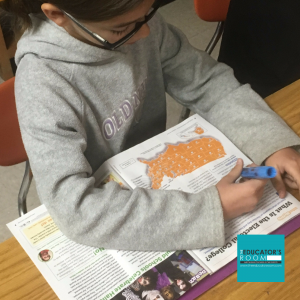 This week we integrated our social studies, reading and writing skills with Scholastic News for Grade 4. We have been working on government (social studies standard), making connections (reading comprehension standard) and focusing on idea (writing standard) this nine-weeks. The article, “What is the Electoral College?” this week was a perfect jumping point for a writing prompt. We started our lesson thinking about Oreo cookies. Students discussed the crunchy outside and the yummy, creamy filling. I introduced the idea of connecting this to persuasive writing. We talked about an Opinion, Reason, Evidence, Opinion format for writing a persuasive paragraph. Scholastic has a graphic organizer with Oreo persuasive writing. This provided a nice connection for students with the writing of a central idea. To get evidence for our writing, we enjoyed Oreo cookies while reading “What is the Electoral College?” in Scholastic News for Grade 4. Students used an invitation to read method for this article. Students are invited to help read the passage aloud. Someone starts and reads the first sentence or two. At the pause, anyone can continue the reading. If two students start at the same time, they can choral read together or one student can drop out. If there is a long pause, I simply pick up the reading again. This allows students to read at their comfort level. It also requires students who want to read aloud to follow along with the class. This method allowed us to hear the voices within the article. Student engagement is not a challenge with an invitation to read. “What is the Electoral College?” was a perfect fit into our government unit as we have been studying the roles of the branches of government and the constitution. I loved the ending paragraph as it ended with questions. “How should the president be elected?…” This was the perfect prompt for our writing. The students filled out the “O” with their opinion. It was interesting to see their opinions and allow them to apply their understanding of our government. This was a good stopping point for the day and students were able to have time to think about their opinion and discuss it at home if they wished. The next day we went back into the article for reasons and evidence. Students used highlighters to find support for their opinion. 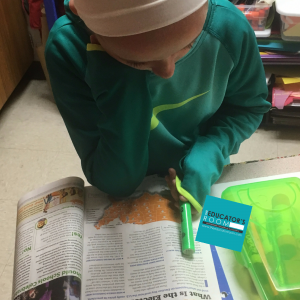 Elementary students are tactile, so being able t0 mark up their own magazine was very helpful. They could then use that evidence to support the reason. The graphic organizer allowed all of my students to get thoughts down in an orderly fashion for their paragraph. The next step was to turn these statements and sentences into a paragraph. Students were provided a format with O.R.E.O., but could write what they believed. They wrote paragraphs to persuade someone else to their opinion of how the president should be elected. 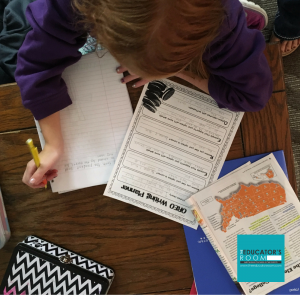 Having a real-world writing prompt and connecting with their social studies content gave students a purpose for writing. I loved using Scholastic News for Grade 4 in my classroom. The students enjoyed the articles and it was a great resource for evidence in persuasive writing. The college and career standards increase the writing, nonfiction, speaking and listening standards at all grade levels. Scholastic News for Grade 4 is a great resource with kids friendly subjects and real world connections to bring the world into your classroom. Scholastic News for Grade 4 is hosting a #SmartTeachingTips contest for other teachers to develop their own creative ideas on how to incorporate Scholastic Magazines into the classroom!